Optimising your websites Technical SEO is not just fundamental to improving your website ranking, it can also have a rapid impact! But before we jump into the Technical SEO Checklist, I want to answer two important questions. Technical SEO which focuses on your website code and structure to ensure it follows search engine guidelines and is easily understood and indexed. Often these technical tasks impact user experience and conversion rates as well. On-page SEO which describes things you can do on individual pages to improve their ranking. This is more focused on optimising content, for example, keyword usage and image optimisation. So How Does Technical SEO Help You? Technical SEO lays a solid foundation for your content to achieve it’s maximum ranking potential. Aspects like duplicate content and SSL security are publicly stated Google ranking factors, while properly tagging information like reviews can result in star ratings showing in Google’s search results. Chcecking for broken links, regularly testing conversion forms and monitoring website speed mean website conversion improves with technical SEO as well, so more sales. Often these “techy” SEO techniques are less visible or appealing so they go unnoticed while harming your rankings. This SEO checklist covers 14 unique Technical or on site SEO factors to ensure your website is not just search engine friendly, but maximising search traffic potential. If you can tick all these boxes, your website SEO foundations will be rock solid! 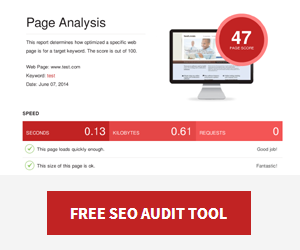 Download the checklist so you can record the progress of your Technical SEO audit. Google is pushing towards a more secure web, this includes rewarding websites that secure or encrypt data between users and the website. This encryption is done using an SSL certificate. Secure sites are recognisable with a green padlock with the url starting HTTPS in the address bar. We’ve put this at number one because the Google Chrome browser will mark all HTTP pages as “NOT SECURE” from July 2018. Obviously website conversion will take a hit if visitors are asked to type personal information into webpages marked not secure! If you haven’t already converted your website from HTTP to HTTPS make it a priority. Microdata or Schema Markup is essentially tagging important information about your business. Local Schema markup should include the NAP details above as well as other business details like business hours. Review schema markup tags your review rating and count which can result in star ratings showing in Google’s search results. Identical content found on two or more of the pages on your site is known as duplicate content. Google tries to show pages with unique information in it’s search results, and frowns on websites contains many pages with essentially the same content. Siteliner is a great site for auditing duplicate content on your website. For each page scanned, Siteliner shows you how much of its content was also found on other pages. People choose there hosting location for different reasons. Sometimes there might be cheaper hosting offshore. Whether Google uses your hosting location as a ranking factor directly doesn’t matter. Why? Because the further you host your website from your target market the more latency there will be in the connection and loading times suffer. So if you’re in Spain and hosting in Germany it probably doesn’t matter. But an Australian business website with hosting in Europe or the US will suffer with page speed since data is sent from a server on the other side of the planet. If that describes your current hosting situation take a look at these Australia hosting companies. NAP details (Name, Address, Phone) are critical trust factors that help identify and verify your business on across the web. Make sure they appear on every page of your website. This reinforces your location to Google and will help with local SEO. 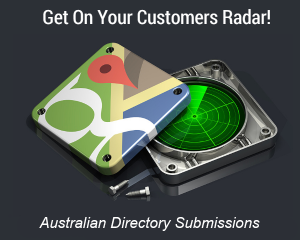 Set your geographic target area to Australia or your country in the Google Webmaster Tools site settings. Your website need to be responsive, that is adapt to different display sizes and devices. This is especially important as Google moves to a “mobile first” algorithm, which means your website ranking is largely based on how it appears to mobile users. 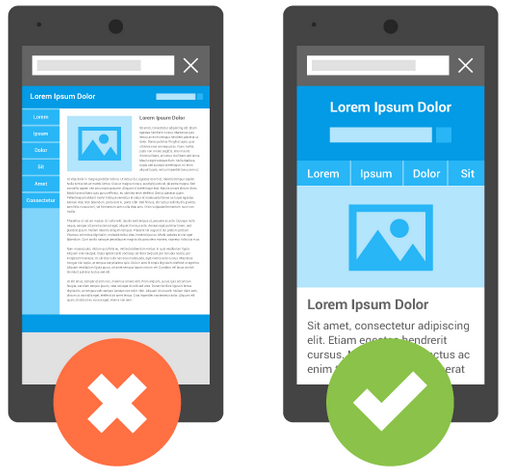 Your website might fail to be mobile friendly for a number of reasons – if your font size is too small, links or buttons too close together, or content wider than the screen are a few examples. Fortunately Google have developed a mobile friendly test to highlight any potential issues. A fast loading website is better for vistors, in fact many people will bounce back to the search results if your website is slow to load. Of course, Google knows this and wants peoel to have the best experience when using their search engine. So they’ve not only made page speed a ranking factor but publicly stated it. Is your business website slow? Try these 8 easy ways to speed up slow WordPress websites and get in the fast lane. Use keywords to create humanly readable, search engine friendly web page addresses. 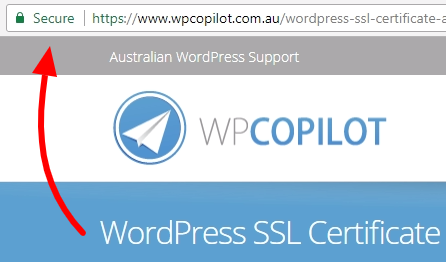 Depending on your website platform and confiuration you might have urls like this “seocopilot.com.au/?p=35”, which is meaningless to search engines and website visitors. 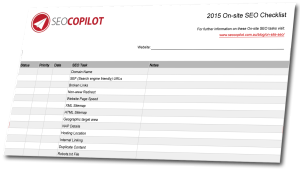 “seocopilot.com.au/technical-seo-checklist/” is much more descriptive, and search engine friendly. It’s best to drop stop words like “a” “the” “and”, use dashes for spaces and avoid creating long URLs to stuff keywords. While it shouldn’t be used to compensate for poor site architecture, an XML sitemap can help ensure the search engines are aware of all the content on your site. Submit XML sitemap to Google Search Console to get information on the indexing of your webpages directly. The “SEO by Yoast” plugin creates XML sitemaps for WordPress websites. Sometimes you don’t want Google to crawl certain pages, administration files and blog tags are examples. The robots.txt file is used for this purpose, but if incorrectly setup it can end up blocking Google from important pages. Another method is including a no-index tag on specific pages. You might think accidentally blocking Google from crawling a website is unlikely, but we see it surprisingly often. Here’s why. When a new website is in development it’s typically left publicly accessible but with no-index tags so Google doesn’t crawl and index the development website. Following the excitement of launching a website nobody realises than when the development website gets pushed to the live server it’s pages are still set to “no-index”. Meanwhile the website vanishes from Google’s search results until it’s discovered. If you’ve setup your XML sitemap correctly Google Search Console will eventually email a warning of potential indexing issues. 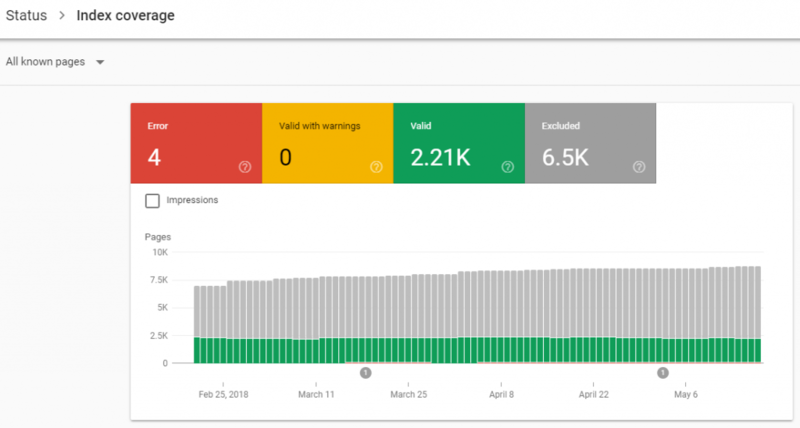 But don’t rely on this, regularly check important pages are indexed using the index coverage page of Google Search Console. Pictured below, “no-indexed” pages are listed in the “Excluded” tab. If a new website is on it’s way follow this website redesign SEO checklist. This is often overlooked but broken links can harm your ranking. Perhaps an internal link has changed, or a you may have linked to a page on another website that no longer exists. This is bad for user experience and credibility with Google. At the same time broken links can creep in without you realising. So regularly check and clean up any broken links on your website using this online broken link checker tool. Try to include generous links between relevant pages on your website. This technique emphasises your important pages with more links acting like votes for a page in a simple analogy. An example would be to include a short list of local landing pages or top services in your website footer. Another is linking from blog post content to related service pages. There’s no point doing Technical SEO, or any SEO for that matter if you’re not tracking results. Add Google Analytics tracking code to your website for in depth statistics about your website visitors and content. Take it a step further using goal tracking to record the number of conversions including form submissions, ecommerce purchases and phone calls! For the quality of your data, make sure the “bot traffic filtering” is active in Google Analytics. Here’s how to add Google Analytics to WordPress. Following this Technical SEO Checklist will help provide a solid foundation for all your digital marketing activities. Remember page speed can head south, broken links sometimes creep in and lets face it, website optimisation is constantly evolving. So revisit the checklist periodically to catch any issues before they affect your website ranking. How does your Technical SEO stack up? If you have found issues on your website, or think something else should be on our list leave a comment! Here Something i found very interesting, You have explained whole SEO process very nicely. Thanks for the feedback Gaurav! Another thing I’ve found with your Google crawler access point is to review webmaster tools for crawl errors. These can hint at broken links or coding weaknesses that hurt SEO. Absolutely, the crawl errors in Google Webmaster Tools are well worth reviewing for on-site SEO! great information about on-page SEO! Every blogger should keep these points in mind. Aside on-page SEO, we need to work also on off-page SEO, as Google still loves links, a lot! Thanks Eric, as you say links are very important for SEO so optimising both on-site and off-site factors is key!